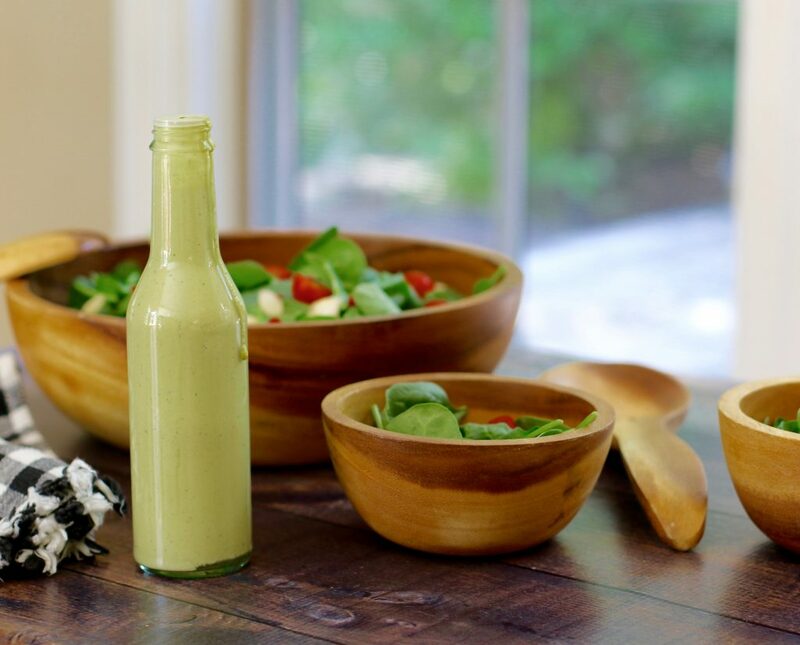 Tahini & Chickpea Miso Dressing – Hiking, Hiking & More Hiking! 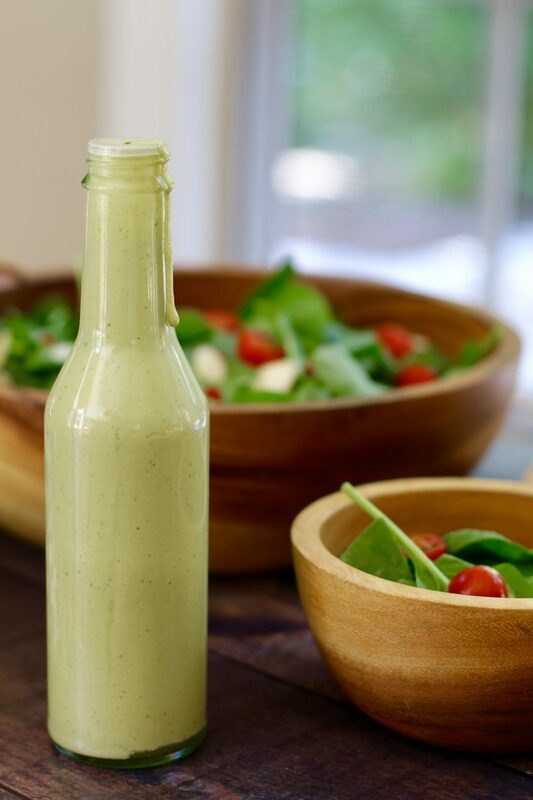 Looking for a simple, gluten-free, and vegan dressing? Well, you’ve come to the right place. 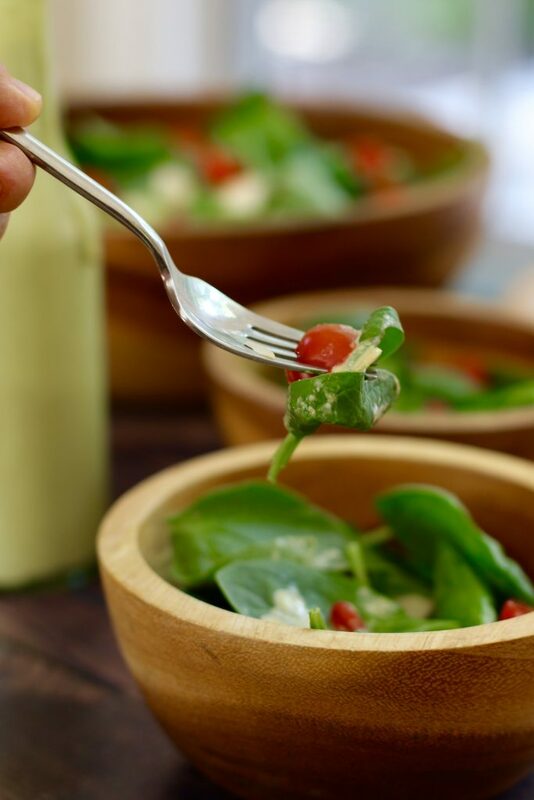 With these clean ingredients you are sure to not only satisfy your taste buds, you will also strengthen your immunity and it may also help with weight loss. We had one of those relaxing, outdoor type of weekends with the family. The weather was perfect and we took advantage of the cool temperatures. 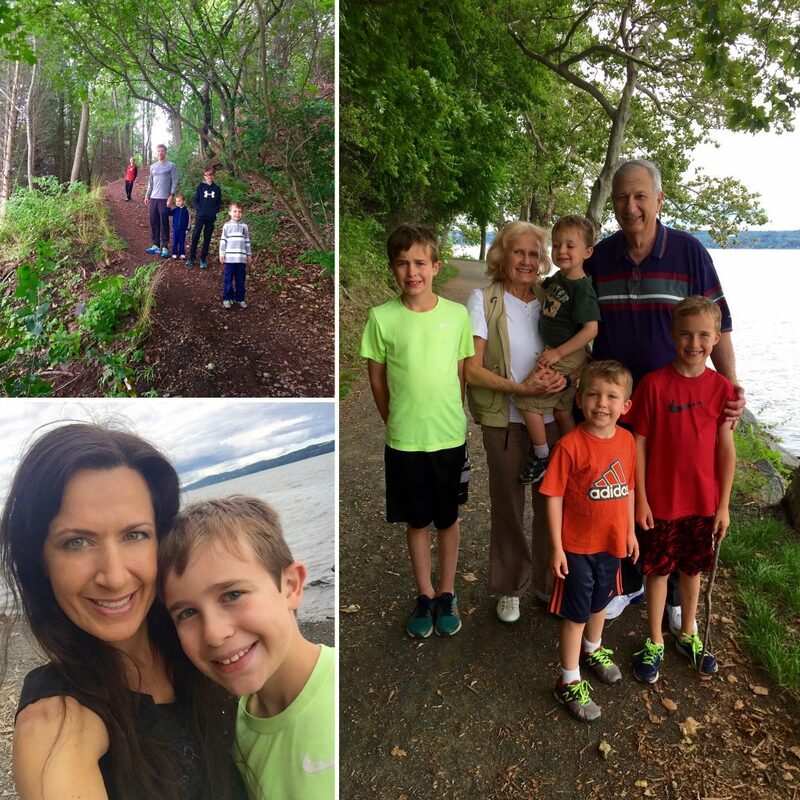 I love to get the kids outside and exploring nature as much as possible. In a world where technology is now dominating our time it is always great to bring them back to the basics. Experiencing the feel of a quiet forest as the trees surround our every move. Making them aware that the world was once like this… no cars, houses, streets… just the beauty of the lush surroundings and the stillness of the earth. 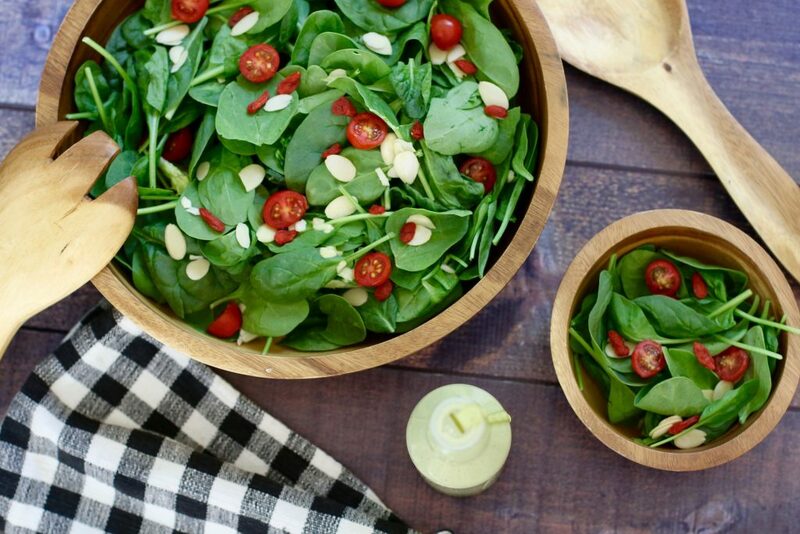 Keeping on that clean note, I decided to make a healthy dressing to go with a refreshing salad after our brisk hike. With just a few substitutes, I was able to adjust the ingredients giving this recipe a smooth consistency, rich flavour, and immune boosting qualities. Below are some great alternatives that do the trick. One thing lacking when eliminating dairy is the rich, creamy texture associated with this inflammatory ingredient. There are some excellent options that are more nourishing and will not interfere in the body’s digestion process. Tahini happens to be an excellent source of vitamins, minerals, healthy fats, and amino acids. Sesame seeds is the ingredient used to make tahini and it is said to lower blood pressure and cholesterol levels. Also, this wonderful seed can help improve your skin and prevent early signs of aging. A great source of amino acids, vitamin E, B vitamins, trace minerals and fatty acids which all come into play when keeping your skin young and vibrant as well as your over-all well being. Another great substitute is chickpea miso instead of soy. Soy contains isoflavones, which are a type of phytoestrogen that mimic the body’s natural estrogen hormones. This can lead to several health problems like cancer, testosterone imbalance, infertility just to name a few. 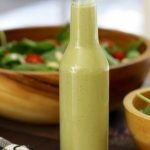 Adding miso and apple cider vinegar to this dressing is a great way to incorporate a fermented food into your diet. Fermented foods are rich in probiotics which are beneficial in balancing the good and bad bacteria in your gut. This in turn may also aid in weight loss. Research also has linked gut health to brain health. 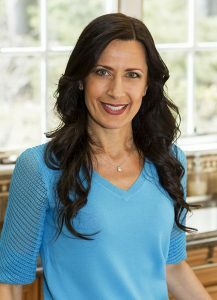 You may be aware that stress can cause you to feel ill, but did you know that if your gut is not reaching the proper balance of good and bad bacteria it can effect your mood, focus and general health. Adding fermented foods to your diet will help you achieve this in a natural way. 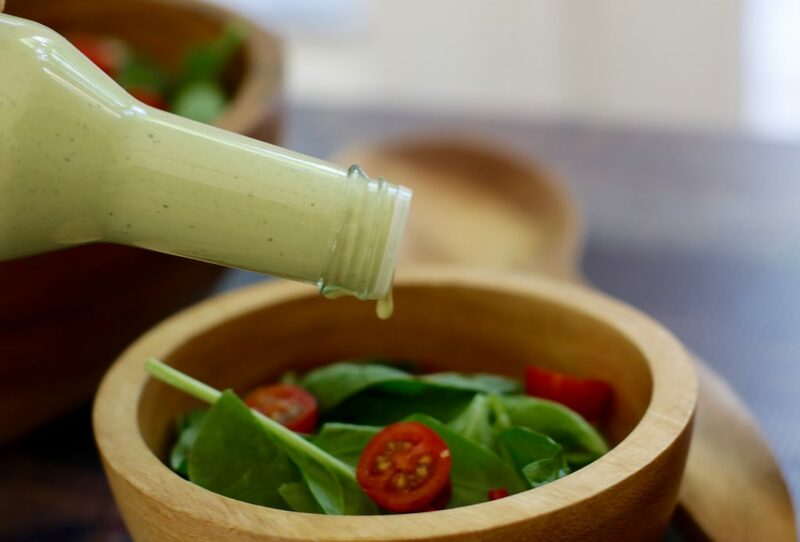 This dressing not only tastes great on a salad, but you can also try it on rice or quinoa for an added bonus of flavour and healthy goodness. Enjoy! 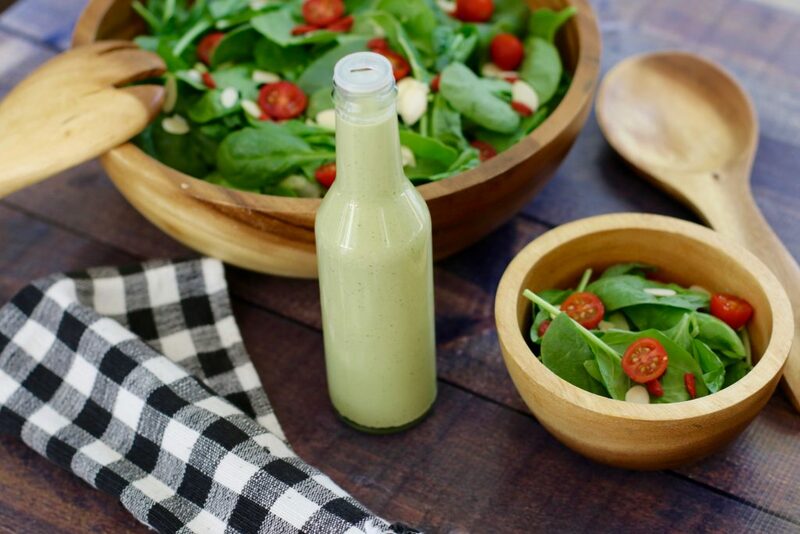 Light, creamy and nutritious, this dressing tastes wonderful on any type of salad. It is easy to make and is loaded with clean, immune boosting ingredients.